When I first moved to the Netherlands, I worked as a translator. A catalogue for the Rijksmuseum, a Ph.D. dissertation on patients’ rights, an environmental law journal. I translated because it was a way for me to learn Dutch, word by word. It felt like an algebra exercise. Each sentence was an equation. All I had to do was work out the variables. In my second job as a lawyer, I continued to translate though the work got a lot harder. I explained to foreign clients how Dutch law worked, using words borrowed from another legal system. That’s a tricky thing to do. Legal terms come with deep roots, a judicial pedigree and legislative baggage. It’s not enough to know the words in order to translate. Now that I’m on my third career as a writer, I am in awe of translators. I love to read about peoples, places and times that are not my own. 9 times out of 10, you’re talking about a work in translation. It could be Spanish or Japanese or Danish. And since I can’t read all those languages, I need translators to reveal those hidden works to me. So I don’t understand the sneers dealt out to works in translation. At Blackwell’s, for example, the Oxford booksellers proudly display original English works in the front of the shop while the books in translation cower in the back. If books in translation are treated like second-class citizens, then their makers are treated even worse. are some of the slurs according to Deborah Smith in her essay Finding the Words. She should know. 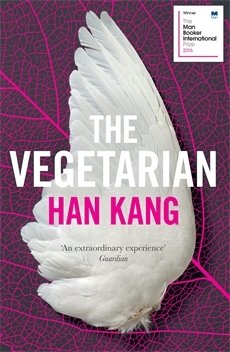 She translated The Vegetarian by Han Kang. 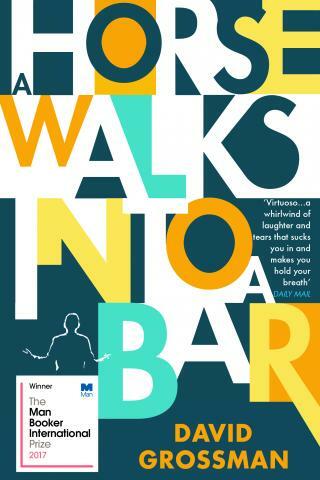 In 2016, that book won the Man Booker International Prize. Humour is notoriously difficult to translate […] but Cohen acquits herself with aplomb, swapping a Hebrew neologism meaning, broadly, “top percentile bloodsucker”, with the brilliantly barbed “eau de one per cent”. This is no Google translate. A computer could not have made that leap of imagination. “Eau de one per cent” is translation as an art form. Every author hopes to write a bestseller. You want it translated into a dozen languages. A deal with Netflix wouldn’t hurt, either. So the publisher or the agent or even the author schleps to the Frankfurt Buchmesse or the London Book Fair to sell the foreign rights. I imagine a huge open air market with publishers as fishwives. Hot cockles here! Maybe it’ll happen for me someday. Or maybe I should hope instead for someone like Lisa Dillman. 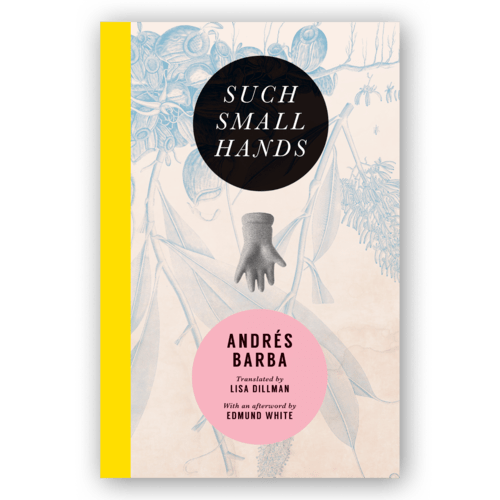 She translated the work of Andres Barba as a labor of love. For years, Barba didn’t know she existed. Yet Dillman went on translating, eventually corresponding and finally meeting with Barba in person. Even then, she had no guarantee of publishing her translation of Such Small Hands. Such Small Hands was their premiere novel. Lisa Dillman was the translator. cultural understanding through the translation, publication, and promotion of the finest contemporary international literature. That vision extends well beyond a magazine. Words without Borders encourages teachers to include international literature in their curricula. And publishing houses to produce print anthologies. Like Literature from the “Axis of Evil”: Writing from Iran, Iraq, North Korea, and Other Enemy Nations (The New Press). Thanks Smith and Cohen and Dillman, Transit Books and Words without Borders. I’m seeing a future with lots of translation in it. I can’t wait to start reading.